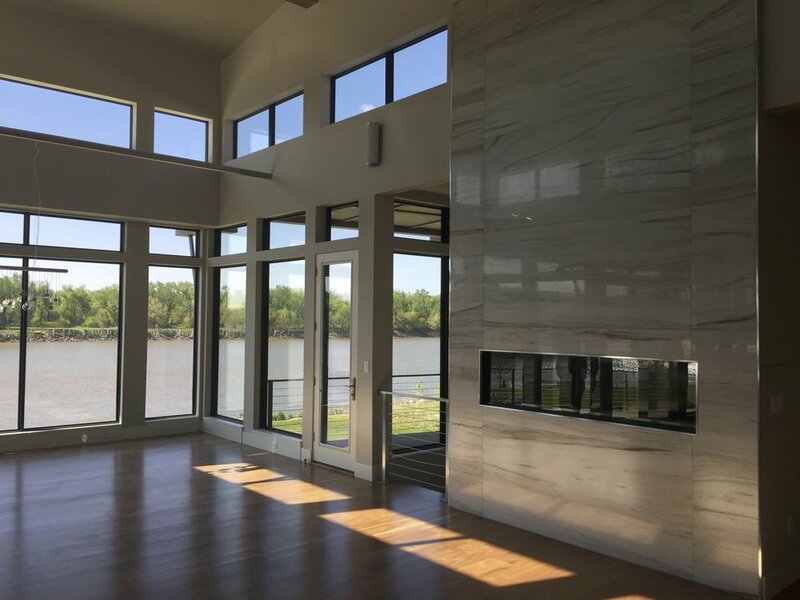 A modern home located on the Missouri River. The client was interested in unique roof lines and massing that also curved in plan to provide panoramic views along the river. The exterior is made up of stone, stucco and bonderized steel panels with wood details (arbors and trim).